Once you’re hooked, there’s a world of flavors to explore. 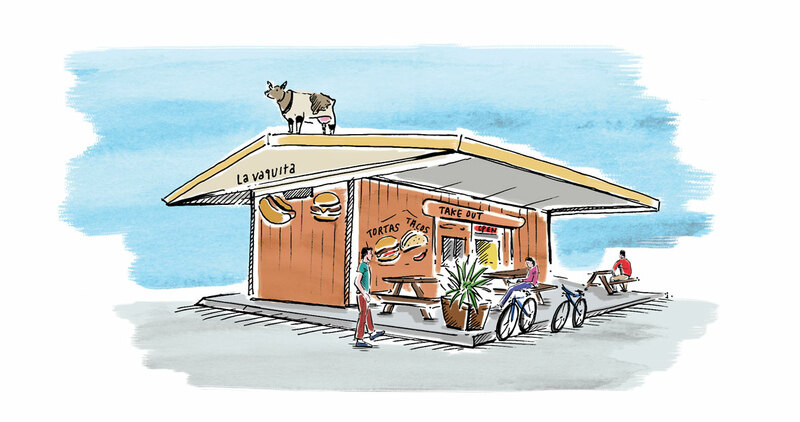 Yes, that’s a fiberglass cow, or vaquita, standing proudly atop Taquería La Vaquita’s tin roof, a memento from the building’s days as a dairy. The bovine namesake has become a Bull City landmark of sorts, a monument to what some call the best taco stand in the Triangle. Which is to say that you won’t find cardboard-like taco shells here. Instead, tacos are prepared with homemade corn tortillas and stuffed with braised tongue, grilled beef, chicken, or beef cheeks, and then studded with radish slices and cilantro confetti. But it’s the cow that intrigues people first. Regulars feel the same way about the Rodriguez brothers, who hail from Veracruz, Mexico, and grew up in a family that loved cooking and had good sazón, the natural ability to season food perfectly. It’s remarkable, the array of dishes that emerge from the pickup window — and in to-go boxes, no less: classic tamales, quail sauced in smoky mole, pork wrapped in banana leaves and braised in citrus and sweet spices, half-chickens roasted and finished a la plancha (on the griddle) until their skin is crispy. What started as a simple family-run taquería has come to represent a cultural shift in the New South: Southerners are embracing Latin food, and Latin food is embracing the Southern palate, and nowhere is that more evident than in the mix of people — from college students to contractors to retired schoolteachers — queued up for warm empanadas or summer ceviche. A dish like birria de chivo (goat barbecue) is a crowd-pleaser, thanks to its visual similarity to pulled pork. “It’s easy for our customers to relate to,” Fidel says, “and that makes them unafraid to try it for the first time.” And once they’re hooked, there’s a world of flavors to explore.